Can we all stop and agree that we all make mistakes? Most of us make the most of our mistakes before the age of 25. 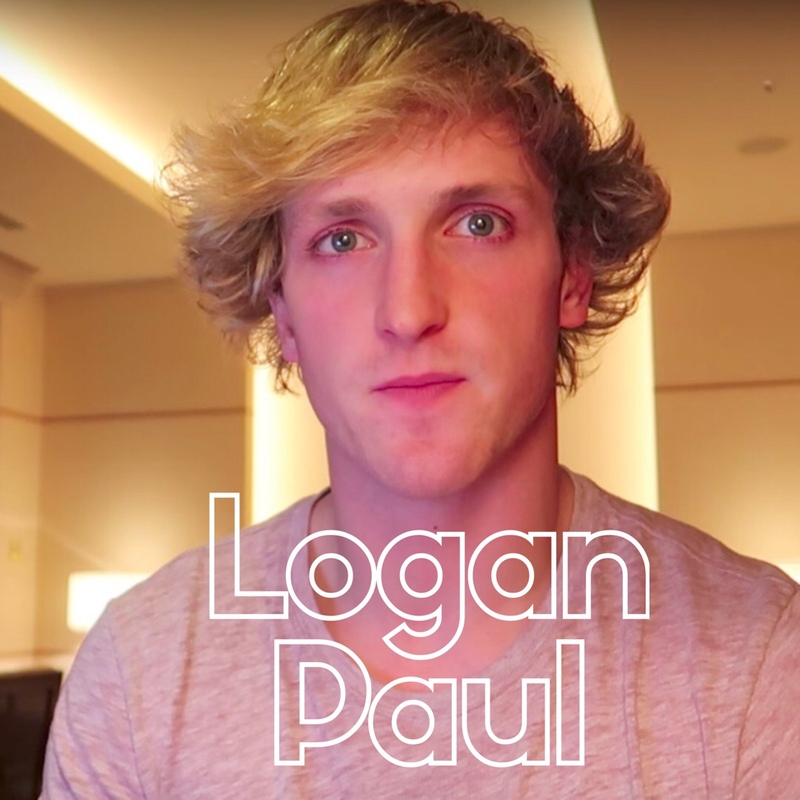 Did we all forget all of the sudden that Logan Paul is still only 22 years old? For those of you who don’t know, Logan Paul is one of the top social media entertainers in the world right now. Anyone that is into YouTube at all knows who Logan Paul is and if you don’t know who he is, I’m sure you have heard of him once or twice before. He’s known for his wild personality and videos and making people laugh. He has 16 million followers on YouTube alone! On Dec 31st, Paul uploaded a video to his YouTube channel regarding his overnight trip in the Japanese suicide forest that he had been planning for awhile. The video has struck up a huge controversial topic that I think is extremely important to talk about. When arriving into the forest with his group of friends, they came upon an actual dead body hanging. Although it was blurred out, and there was never any actual clear footage of the person, he is being slammed for releasing any footage at all. People are outraged because he continued to make “jokes” throughout the video. It was seen by millions of viewers and received hundreds of thousands of “likes” before facing online backlash. Paul removed it and apologized to his fans in a separate video released the day after. He made a video to all of his fans with an apology. Blaming himself and apologizing for what he did and admitted to how wrong he was. In a run in with a TMZ reporter, he mentioned that he believed he was being treated fairly but that we all deserve second chances. What Good does it really do people to be so mean and ruthless.. that person regardless if they are rich or not, they don’t deserve to be treated so poorly. Entertainment videos are his thing and clearly have been for years. He had been planning this trip into this Japanese suicide forest and had been talking about it in prior videos. This wasn’t something that was planned, you can tell, at least I can tell, that he was dealing with his emotions the best he could while still trying to give his viewers what they want. Do you think it’s right to judge someone based on the way they reacted to something especially something as serious as this? Yes, I agree, I can see how the way he talked to the little girl and warning her to “not go that way”(pointing in the direction towards the body). I can see how it be looked at as if he was making a joke and laughing about it. To me, it looked like he was doing the best he could to contain the fact that there was a dead body hanging in the trees and he didn’t want the little girl to see it. If he would have been more serious, scared, emotional in any way, that could have scared her so much more. It’s still up in the air whether or not he deleted the original video or if YouTube did. I believe it was him. Many people are saying that his video went against YouTube’s guidelines of “showing graphic content, blood, or gore”. Which the majority are in belief that he has violated that. But did everyone forget all of the sudden that.. The body actually was blurred out. It’s pretty sad actually that Logan Paul has made an apology video the way he did. He looked broken down and sincerely apologetic. He admitted he was in the wrong and should have thought about his actions. But yet, he is STILL being bashed and hated even for that. I get it, I get it, not everyone is going to like everyone and I have talked about that before right here. We all don’t have to like each other or agree with one another in any sense, but why can’t we be kind to one another? He was clearly shocked, as any of us would be. And we all show that differently. You can’t say how you would really handle a situation like that until you are in that situation yourself for the very first time. This is something none of us ever plan on dealing with but sadly a large percentage of us in this world have in fact, dealt with death. Logan insisted he wasn’t mocking the victim, but people claim that Paul joked, laughed and wore a goofy hat while standing next to him. ( completely irrelevant because he was wearing the hat from the minute he got there-before he even discovered the body in the first place). Logan demonetized the video right away (which says a lot right there), and at the beginning and throughout his video he mentioned suicide and how serious and real it is. He stated that this incident has pushed him to learn what he can about suicide so he can start to help others. He also mentioned at the end of his video that we all have the ability to be happy and to be fulfilled in life. He asked whoever was watching to seek help if they felt any sort of depression. I felt that it was genuine for someone who is completely ignorant about suicide in general. People don’t want their children looking up to bad behavior and judgement, and I get that. But all I have to say here to that is you have to realize that if your child is on any electronic device with access to internet they are more than 90% likely to be searching things you wouldn’t be happy about anyways. Don’t be naive. Most importantly, it’s Important to talk about topics such as anxiety, depression, and anxiety with your children before someone else has the chance to. That can set any parent off because either it’s not the way you would have explained it to them yourself or there’s some important things you want them to know first. I’m sorry to tell you that there are worse things than Logan Paul’s video out there on the internet. Far worse. What happened to us all having compassion for one another? Each one of us as human beings all deal with emotions, although we deal with them very differently they are very much the same in all of us. If we all want to get really technical think about how Logan Paul most likely feels? Do you think that’s something that really made him happy? What about the comments that are being made about him? He clearly made a mistake, even though it could have been SO much worse.. and he delivered to his fans and thought he was doing the right thing. As real as the content must have been from the beginning, I believe he thought he was doing the right thing. And he addressed it quickly. Death seems to be something that has been hushed for so long, because people are afraid of it. Most people don’t want to talk about it because they are already in fear of it. Then there’s those like me who can talk about it. Either they have dealt with death themselves or they have become comfortable with it under their own circumstances, no matter what that may be. It sounds weird, but yes there’s those that are comfortable with knowing they will die. I think a huge part of that is knowing where you are going and turning that into a form of contentment and positivity and not into negativity. Anxiety is a seriously harsh and violent one at that, to overcome. I can say that from experience- which is can ready in my past blog posts. They are very serious mental battles that statistically a large percentage of Americans deal with some sort of anxiety related disorder. Check out the facts for yourself right here. In my opinion, most of us have a form of anxiety disorder and most of us don’t even realize it or want to admit it. Anxiety, depression, PTSD, and suicide are very real and serious things. I think there’s many that struggle so much because of denial and fear of rejection, fear of being shamed. I feel like even though there is also those who don’t deal with any of these things it’s still so important to be real and to be raw, raw in emotions and everything. We need to be real with each other and face reality. Face death. The truth is that we are all going to die. But none of us want to talk about it. Why though? Because of fear? Living in fear is the most unhealthy way to live. If you face someone or something that makes you fearful, it’s better to confront it head on rather than suppressing it and furthering it into a deep pool of emotions. People tend to pass judgement everywhere these days and everywhere you go including the grocery store. Judgement is evil in itself. Why can’t we all just worry about our selves and not everyone else? Always live each day like its your last. Be your own advocate: you and only you know what’s best for yourself. Don’t be afraid to ask for help if you ever need it. Be open to different solutions then what your used to. We all show emotions and who we are in different ways. We have to remember that if we were all the same and dealt with things the same we would all understand each other and everything would just make sense right? Not realistic. So good for you Logan Paul, for uploading the 7 minute video today about raising awareness for suicide and for admitting your fault and owning up to it. In my opinion, you have shown some good characteristics. You are absolutely right that you can’t be educated and informed about something fully until you understand it more for yourself. It’s important that we all learn more about Suicide and learn about the emotions that go along with it. We need to understand each other more. Be there for each other more. Be happy more. This worlds needs are becoming less and less about money and more and more about personal relationships. We don’t realize how bad we truly need one another, until we are truly all alone. Do you think Logan really was trying to Raise Suicide awareness? Let me know, I am interested in your feedback! These same exact things could be said about that Japanese man. It doesn’t matter that the body was blurred out, it was flat out disrespectful. It would have been a completely different story had he shared his experiences without the footage, none of this would be news. At least that man would still have that little dignity he felt he had left. How would you feel if someone filmed a video just like he did but instead it was someone YOU loved hanging there? You probably wouldn’t be too thrilled. It was disgusting and shameful. How he and his friends carried themselves the whole time throughout Japan, as representatives of Americans, was shameful as well. Had his video not received such backlash, do you really think he would have made anymore videos about suicide awareness? I highly doubt it. Also just because there are worse things on the internet doesn’t negate the wrong in his video. Don’t downplay it. I respect your opinion. My argument is that the Japanese man, does anyone even know his name? Or has the mans family been publicized from it? There is no dignity to be lost in the first place. Because in my opinion, it would then be a different story. Logan Paul is a nationwide entertainer and being silly and doing crazy stuff is what he does. And yes, I do believe he would have made more videos about Suicide awareness. Just because someone is ignorant about a certain situation does not make them negligent. There IS a difference. I’m not downplaying anything, I am being realistic. Our society suppresses suicide and death so much these days because no one wants to face reality and talk about these things when they are a huge part of all of our lives. Death happens to all of us. Our worries shouldn’t be upon someone’s content, but rather about the victims and how we can all do a part and help.